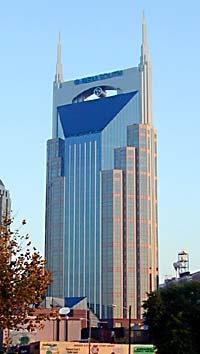 The postmodern style BellSouth Tower is the tallest structure in the State of Tennessee at 617 ft (33 stories). There is actually a building in Nashville with more stories (the Renaissance Hotel has 35 floors), though, since the floors of the BellSouth Tower are so tall. 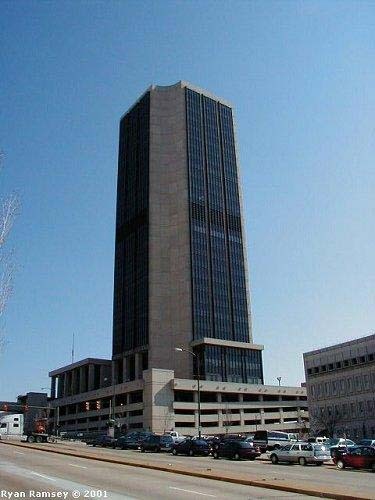 The tallest building in the Commonwealth of Virginia at 449 ft (25 stores), which isn’t saying much for tall buildings in the commonwealth. This building is relatively slim, yielding less office space than many other towers in downtown Richmond. I think it’s interesting filleted corners are worth noting here. The WTVR Television tower is actually the tallest structure in Virginia. It was the tallest free-standing tower in the country when it was completed in 1953. It’s tip is 1045 ft in the air. It is widely considered to be the world’s largest office buidling. With nearly 4 million square feet of office space, it’s not hard to believe. 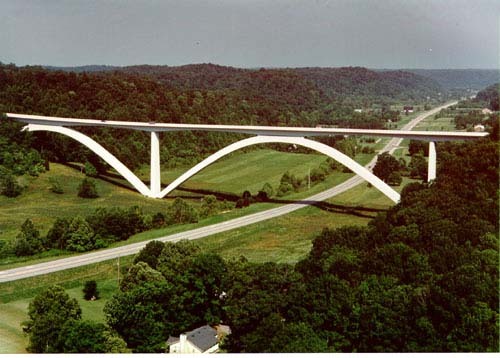 This striking bridge is the first double arch, precast segmental bridge of its kind in the United States (which doesn’t mean much if you’re not a structural engineer). However, anyone can appreciate it’s beauty. 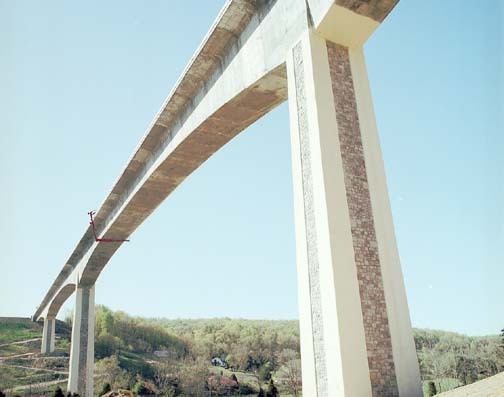 The bridge is 1,572 feet long, and elevates the two-lane parkway 155 feet over Tennessee Route 96. This is the highest bridge in the Commonwealth of Virginia, and is another Figg Bridge. It stands 175 ft above Wilson Creek in Ellet Valley. The bridge’s total length is 2,000 ft with 5 spans of varying length. The bridge is decorated with local “Hokie Stone” (known as granite everywhere else). This bridge is located about 1 mile from my old apartment in B’Burg. This bridge was opened in August of 1999. It spans 1,080 ft and is 208 ft above the river. The bridge is on the Fentress/ Morgan Co. line, only miles from where I grew up. It is the third highest bridge in the state, although the concrete piers are actually the tallest of any bridge in the state. The bridge superstructure consists of 8 ft tall (approx. 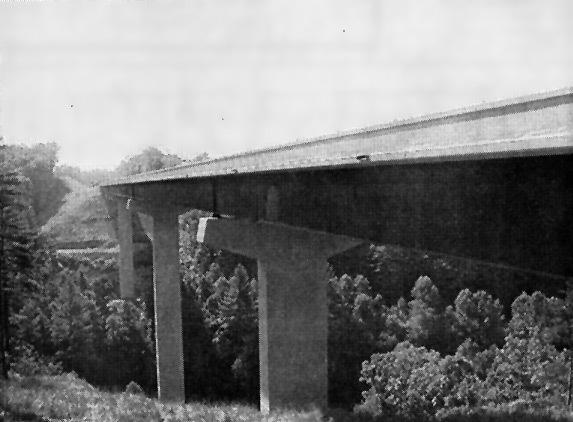 ), high strength steel girders and a reinforced concrete deck. Source: Fentress Courier; Wed. August 11th, 1999. Also, note that this image is fairly out of date, as Taipei 101 and other various structures are not shown. 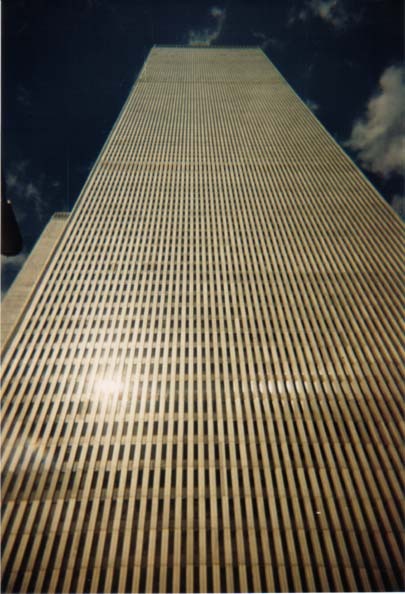 These are some photos I took on a high school trip to New York City. 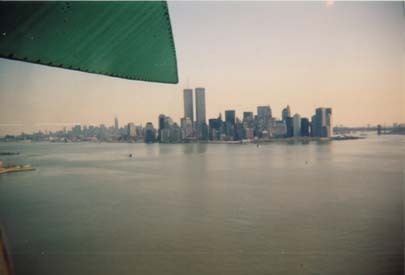 I felt like it might be nice to post them now, in memory of the World Trade Center and the lives that were lost when they were destroyed. I hope that we never forget these marvelous structures, which stayed standing for some time after a remarkable and horrible event, allowing so many lives to be spared.